Looks quite playful this SWOT analysis template with round and rectangle shapes in different colors. You can fill-in the Strenghts, Weaknesses, Opportunties and Threats in the rectlangle boxes with bullet points. 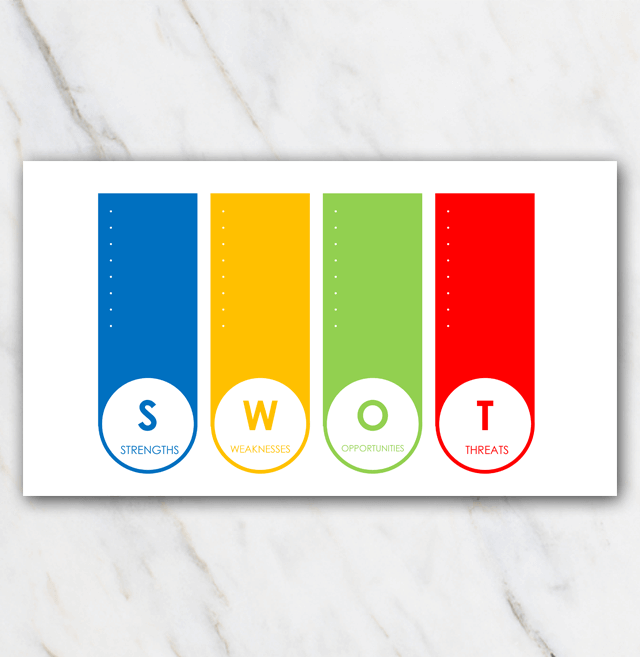 Check out the rest of the SWOT Analysis templates.